Nimble Page Builder is an easy to use yet powerful page builder plugin for WordPress. 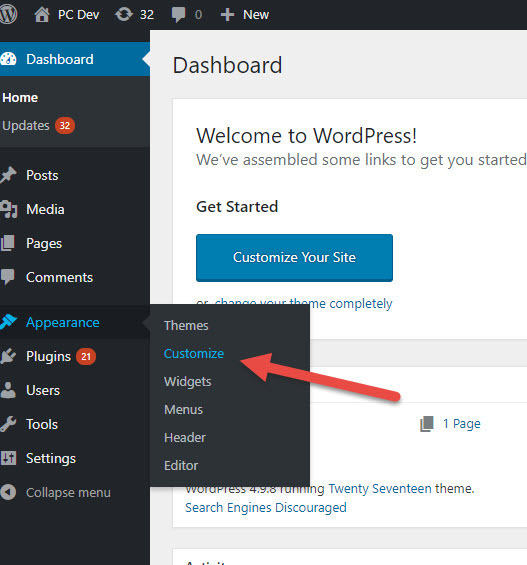 It uses the live customizer which is the native WordPress interface for real-time design. The plugin allows you to drag-and-drop modules like text-editor, post grids, images, contact forms, maps, icons, or beautiful pre-built sections with a parallax background, into any page of your site. 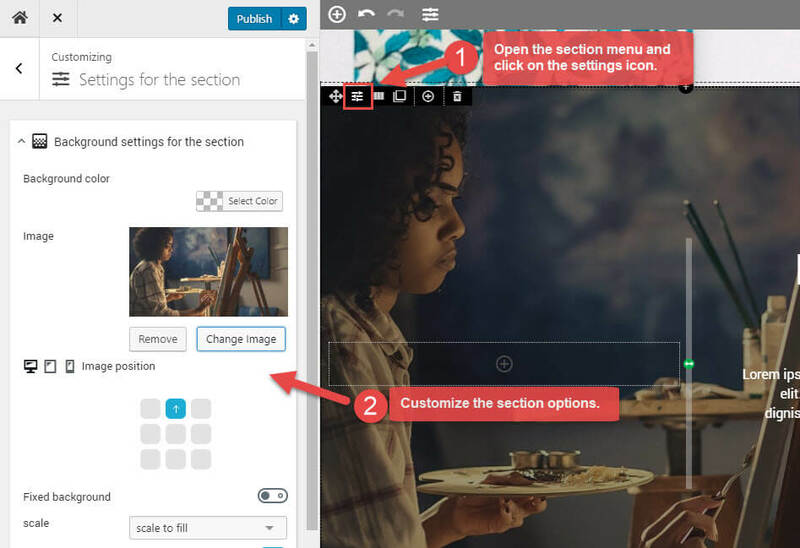 You can edit your sections in real-time, and then click “publish” when you are happy with the result, or save for later. Watch the video below to see how this demo page has been built ! 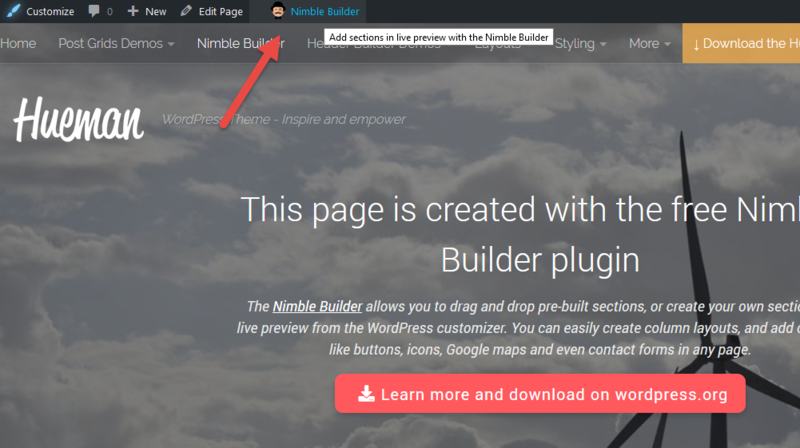 You can see Nimble Builder in action with the Customizr theme or with the Hueman theme. Here's a 404 page designed with Nimble Builder plugin. 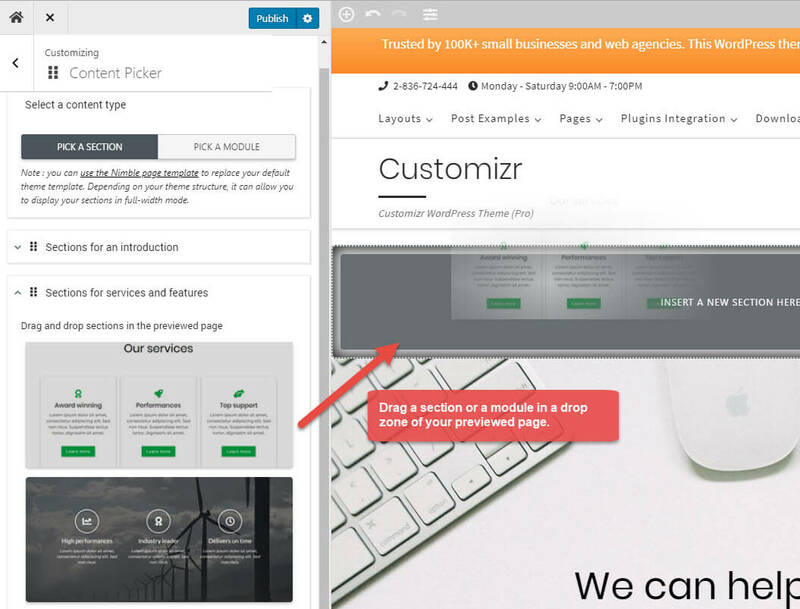 Once installed, Nimble Page Builder can be accessed in the WordPress live customizer. 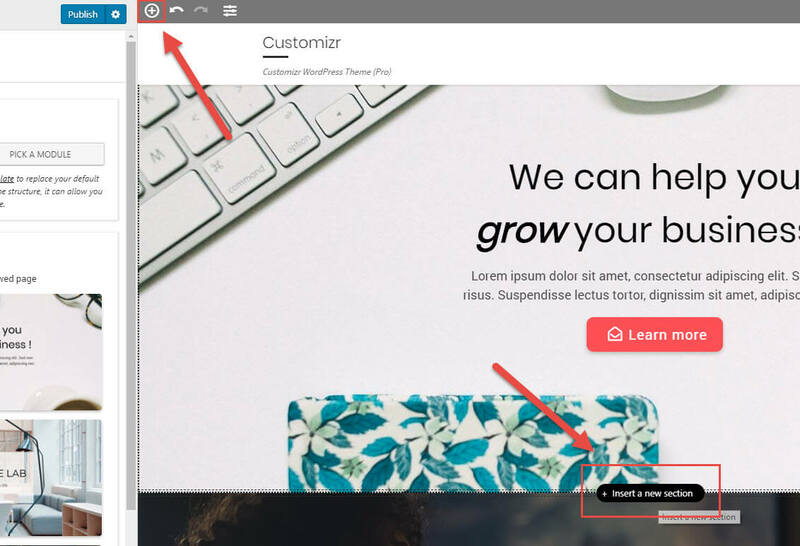 You can start using the Nimble Builder from a brand new page, or from any existing content of your site. 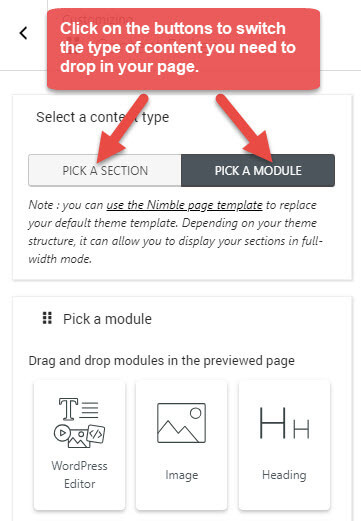 A - When editing an already published post, page or term, simply click on the Nimble Builder link in the top administration bar. C - When browsing your front-end site, click the customization link in the top bar of the administrator. You can either click on the "+" icon in the topbar or click on "Insert a new section". Both actions open Nimble Builder content picker. 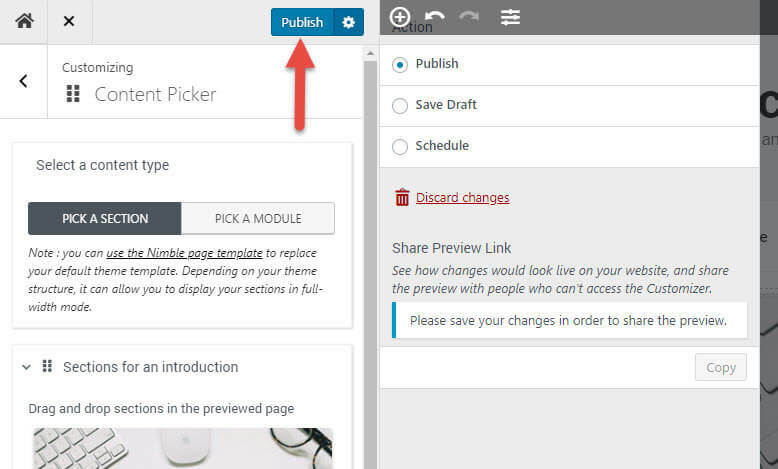 Then you simply need to drag and drop a section or module in one of the dropzones of your previewed page. Once you have dropped a module in your page, move your mouse on it to display the module menu. Open the module menu and click on the edit pencil icon. Then start customizing your various module options from the left customizer panel. 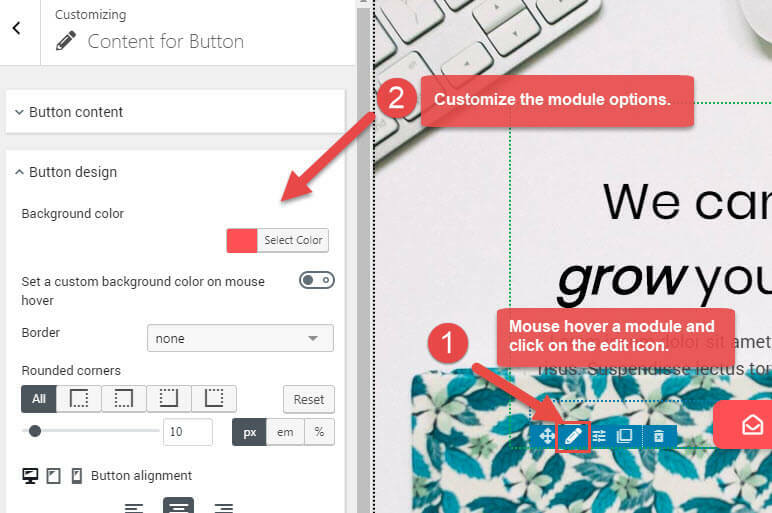 Any section, column or module has editable properties in Nimble Builder, like background, width, padding, borders, ... . You can access and edit those properties by clicking on the hamburger menu revealed when moving the mouse on it. For a section, open the section menu with a click on the hamburger menu, and click on the settings icon. Once done with you design, you can publish it, schedule it or save it as a draft for later modifications. How to enable lightbox on your images with Nimble Builder ? How to add post grids to any WordPress page with Nimble Builder ?